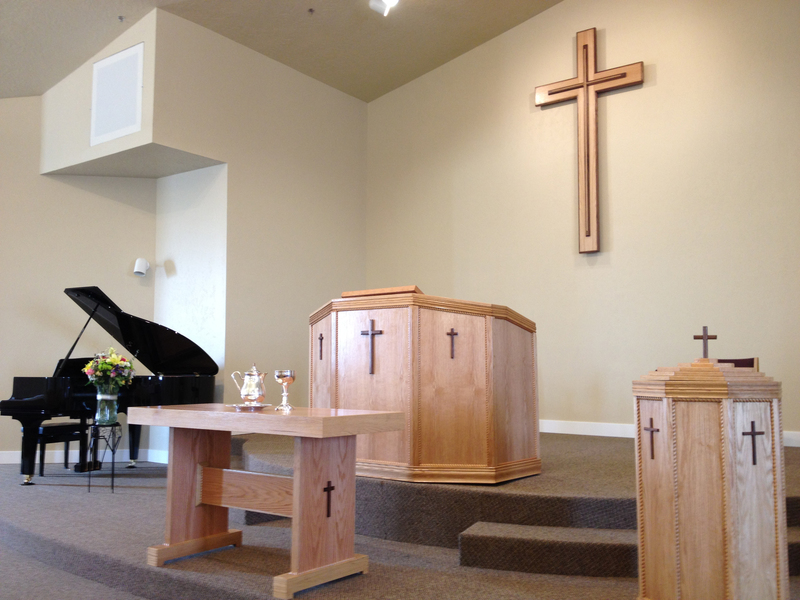 After ten years of renting worship space, the United Reformed Church of Nampa, ID, celebrated the dedication of its new building on March 31, 2012. Sunday worship services were first held in the new facility on April 1. The dedication service began at 3:00 p.m. with an informal time led by the church’s three elders. Tom Simmonds welcomed attendees and Martin Van Egmond led a time of acknowledgments that Rev. Nick Smith reports was “particularly appreciated and enjoyed by the congregation.” Vance Barbour facilitated greetings from representatives of various churches that had received formal invitations. The ceremony transitioned into a more formal service as a small choir sang, “I Love Thy Church, O Lord” with the congregation joining in the last two stanzas. Three ministers led this portion of the service, focusing on different aspects of the occasion through Scripture readings, brief exhortations, prayers, and congregational singing. Under the heading, “For the Glory of God,” Rev. Nick Smith opened with a responsive reading of scriptural texts prior to his exhortation. Rev. Jonathan VanHoogen, Cloverdale URC in Boise, ID, spoke about “For the Church,” followed by Rev. Rick Hogaboam, Sovereign Grace Fellowship in Nampa, ID, speaking on “For the City.” Rev. Smith closed the service with a responsive benediction and a doxology. 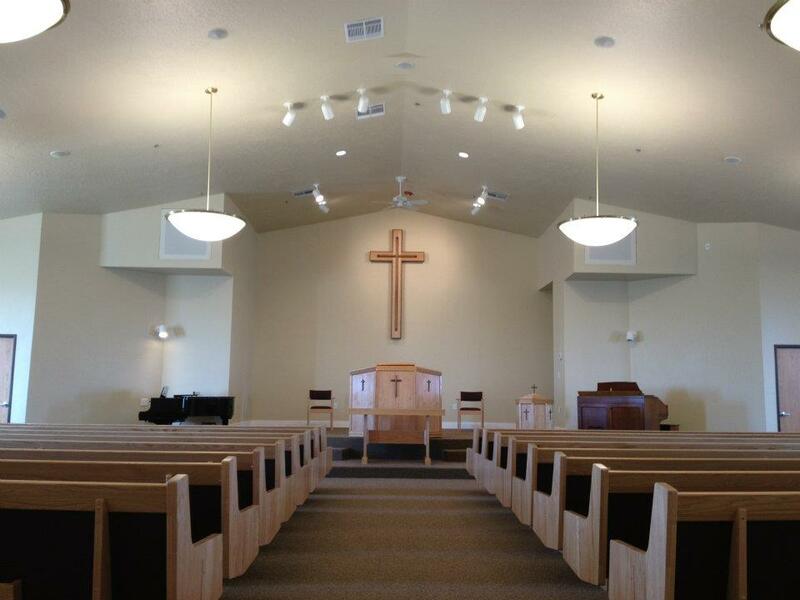 The United Reformed Church of Nampa is comprised of 148 individuals in 37 families. About 20 additional individuals in several more families regularly attend services. The congregation meets for worship at 10:15 am and 6:00 pm in its new location at 12693 Orchard Ave., which is on the west side of Nampa. The location is convenient for many rural members who drive in from the west as well as for members who live in towns east of Nampa, since they have easier access to the new facility via a freeway. Rev. Paul Ipema (now at Community URC in Schererville, IN) was the planting pastor for the church, which met for less than a year prior to organizing and joining the URCNA in 2002. When the congregation began meeting in the First Congregational United Church of Christ, rent was relatively low for the good location. The church has seen an increase in visitors after only two Sundays in the new building, with ten additional families visiting on Easter Sunday. The church also anticipates more opportunities for fellowship activities, such as a monthly congregational meal. A ground-breaking ceremony was held July of 2011 and construction began soon afterward. Progress continued through the winter with the final touches completed this spring. The rectangle shape of the new facility is efficiently laid out, with the sanctuary and fellowship hall on each end. 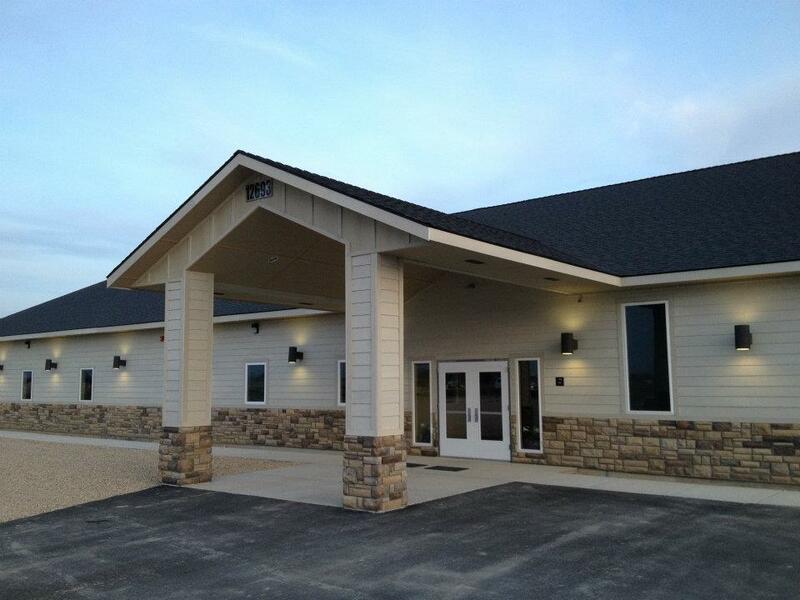 The sanctuary will comfortably seat 260 persons and about that many people can be seated in the fellowship hall. Hallways flanking a nursery and kitchen provide access to classrooms and offices. More information about the congregation is available at http://www.urcnampa.org. The above article by Glenda Mathes appeared on page 18 of the May 2, 2012, issue of Christian Renewal.